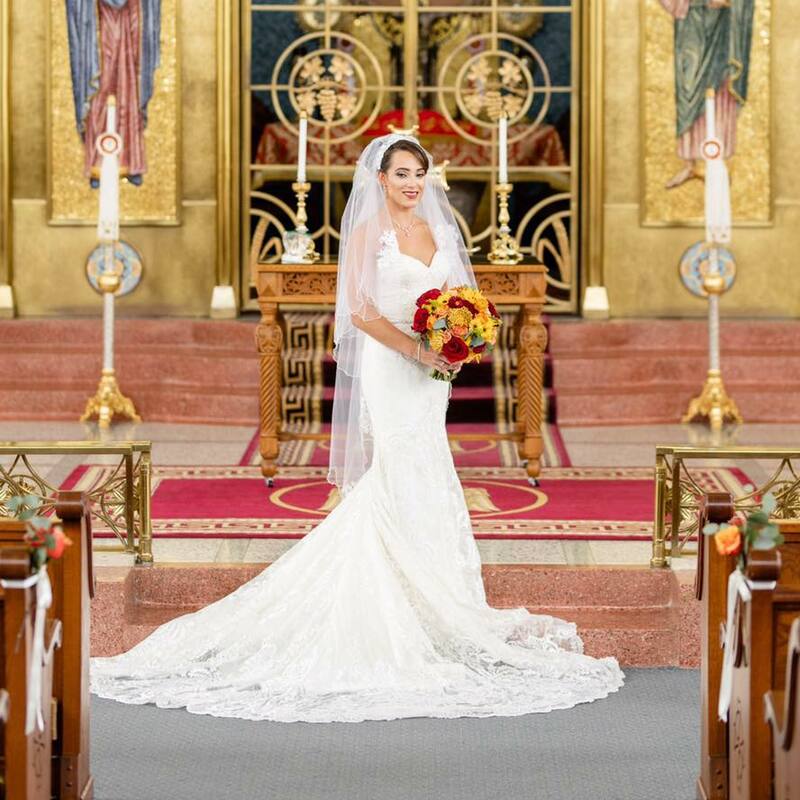 At 7 weeks post partum, I got back to work with my first wedding since having baby girl. It was like riding a bike. 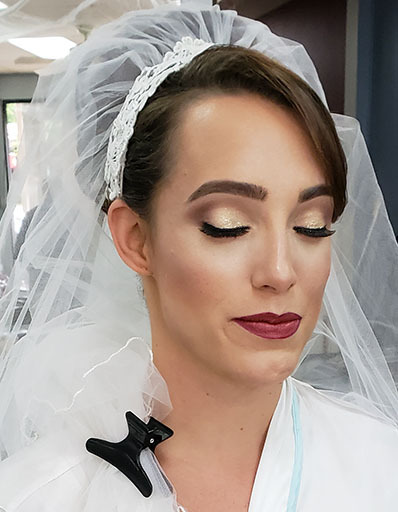 I got to do makeup for a lovely bride and her sister. It was also my first Greek wedding. 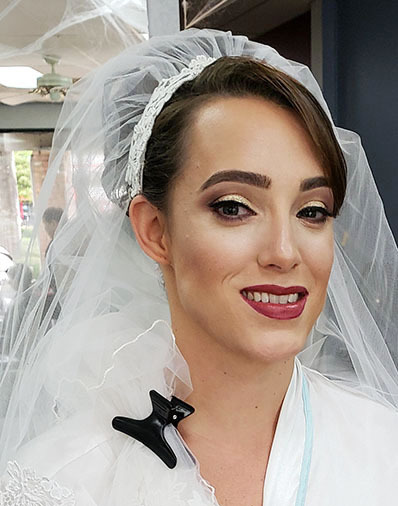 Check out the glamorous makeup we did for her traditional ceremony. After her trial we made a few changes – we went for a gold eye over silver and went with airbrushed makeup over traditional foundation. She loved it! It’s always good to be flexible with your bride and give them options. Open communication is key to having a happy client. On the lips I used a gorgeous neutral berry color from my Viseart Lip Palette – 02 Classic Paris Velvet. It was my first time using this color on a bride and it was really nice on her, perfect for her big Greek wedding and Fall time.